Let’s get started with our frontend. We are going to create a single page app using React.js. We’ll use the Create React App project to set everything up. It is officially supported by the React team and conveniently packages all the dependencies for a React.js project. Move out of the directory that we were working in for the backend. Run the following command to create the client for our notes app. This should take a second to run, and it will create your new project and your new working directory. Now let’s go into our working directory and run our project. This should fire up the newly created app in your browser. 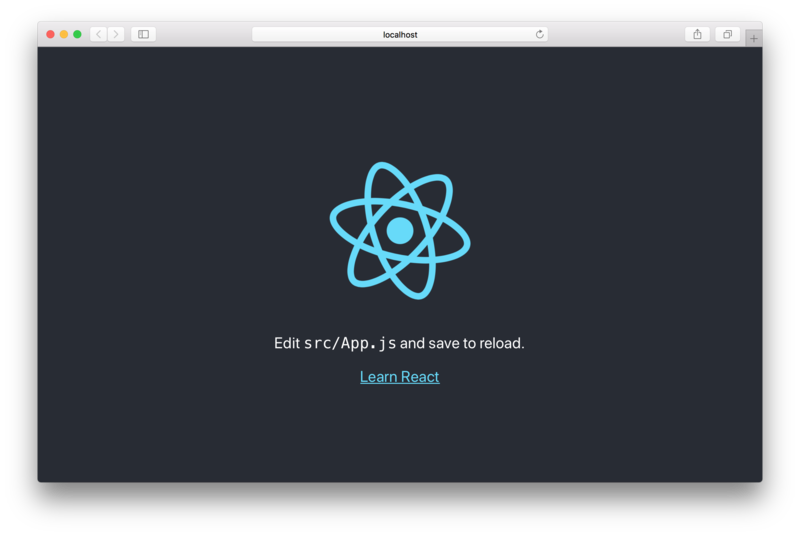 Create React App comes pre-loaded with a pretty convenient yet minimal development environment. It includes live reloading, a testing framework, ES6 support, and much more. Next, we are going to create our app icon and update the favicons.